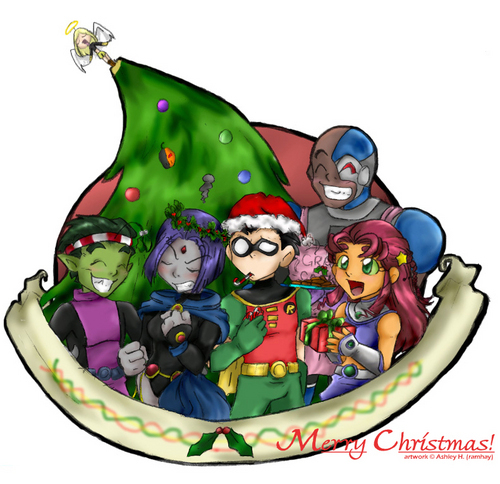 Merry Weihnachten. . HD Wallpaper and background images in the Teen Titans club tagged: raven teen titans robin teen starfire titans beast boy. is..is that..TERRA?AS A TREE TOPPER?????? 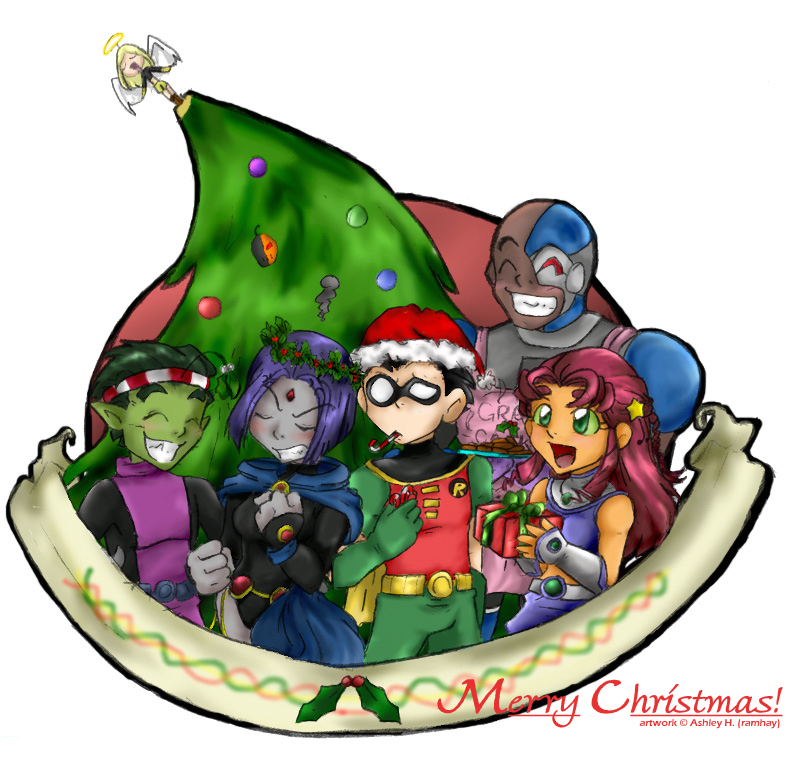 HaHa.Raven is stuck in the middle of BB and Robin!